Quebec's student tuition protest: Who really won the dispute? With the furor of the Quebec student protests now a fading memory, there's disagreement over whether the movement was a great show of democracy or simply a mass disruption with no lasting effect. 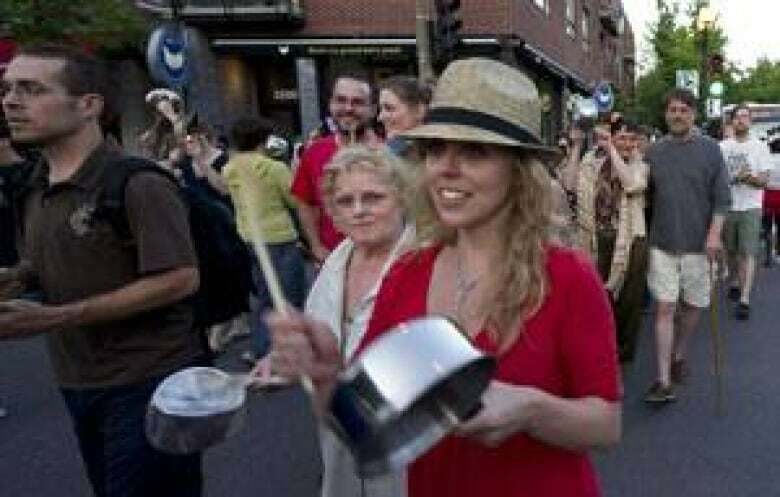 The beat of helicopter propellers, the wail of sirens and the banging of pots and pans were familiar sounds during Montreal nights just over a year ago. With the noise of the Quebec student protests and the masses in the streets now a fading memory, some question whether the movement was a great show of democracy with lasting effect or simply a mass disruption. In the spring of 2012, tens of thousands of young people took to the streets, objecting to a planned 75 per cent hike in university tuitions fees. Clashes between police and students became regular news. As the summer wore on, people of all ages and professions joined in. But there were also many Québeckers who felt the social order was threatened, and they wanted the protests to stop. One year later the demonstrations have evaporated, but the debate over whether anything has really changed in Quebec in the wake of Montreal's summer of protest has not. Martine Desjardins, the former president of the Féderation Étudiante Universitaire du Québec — the union that represents university students — says there’s no question about it; the students won. The government changed, a new Parti Québecois government is in power, and the planned 75 per cent tuition hike was shelved. University tuitions fees in Québec are now indexed to the cost of living. Meanwhile, Geoffrey Kelley, Liberal MNA for the Jacques-Cartier riding on the West Island of Montreal, says the issue is far from gone. He still defends his government’s plan to raise tuition fees because, he says, universities need more money. "Over time, the issues raised last summer will have to be raised again if we want our universities to provide the best education possible for our young people." As part of their protest, the students complained that universities wouldn’t need more money if they were better managed. Over the winter, the Parti Québecois set up the Conseil des Universités to oversee university administration and look for areas of waste and extravagance. Kelley says that’s not a solution. "Is there waste in universities? Yes. There’s waste everywhere in society. But to pretend that only through that, we can solve the problems in our universities, is magical thinking." Daniel Weinstock teaches law at McGill University. He's also director of McGill’s Institute for Health and Social Policy, and a member of the university’s Centre for the Study of Democratic Citizenship. He agrees that the students won a partial victory when the planned tuition increase was canceled. But, he warns, "We focused too narrowly on tuition fees, and as a result, we didn’t solve many of the fundamental issues facing education as a whole. Had the protests given rise to questions about equity in education, from daycare to university, and how you ensure that equity and accessibility are guaranteed, that would have made a real difference. It was a missed opportunity. A lot of the energy that might have galvanized a real discussion has by now dissipated." He adds that Quebec has "one of the most unequal high school systems in Canada," with 20 to 30 per cent attending private high schools. "There are two levels of cultural attainment. The question of whether to go to university is often decided by whether or not the students have been in an environment that encourages further education," he says. "I heard these questions raised by exactly no one. It was a great shame." When it comes to the political impact of the demonstrations, professor Weinstock believes that the Parti Québecois’ support for the students may actually benefit the Liberal party in the long run. "The image of [now Québec Premier] Pauline Marois banging on her 'casserole' — for people who worried that the social fabric was starting to unravel, they thought the Liberal party was the only one taking a stand. The fact that it’s now the second party in Québec’s National Assembly, not a rump third party, is probably the result of the reaction of a great number of Québec citizens to what was going on." He adds that English Canadians never really understood the protests. They thought the Québec students were "completely crazy," given that tuition fees in the rest of Canada are so much higher. "The thing I tried to explain is that these students were not motivated by selfishness," he says. "Many francophone students and professors have spent time in Europe. In France, and in many Scandinavian countries, there is free university education. English Canadians have the cultural references of the United States, where tuition costs are even higher." Still, he has mixed feelings about what the protests will be seen to have accomplished in the long run. "There’s something desirable in any democracy about a citizenry that’s attentive to what’s going on, and that is willing to go into the streets and manifest its discontent, respectfully — even between elections," professor Weinstock says. "There was an admirable show of democratic fibre in Quebec — but I am disappointed at the level of policy. It did not give rise to the deep discussion about equity in education that we should have had." 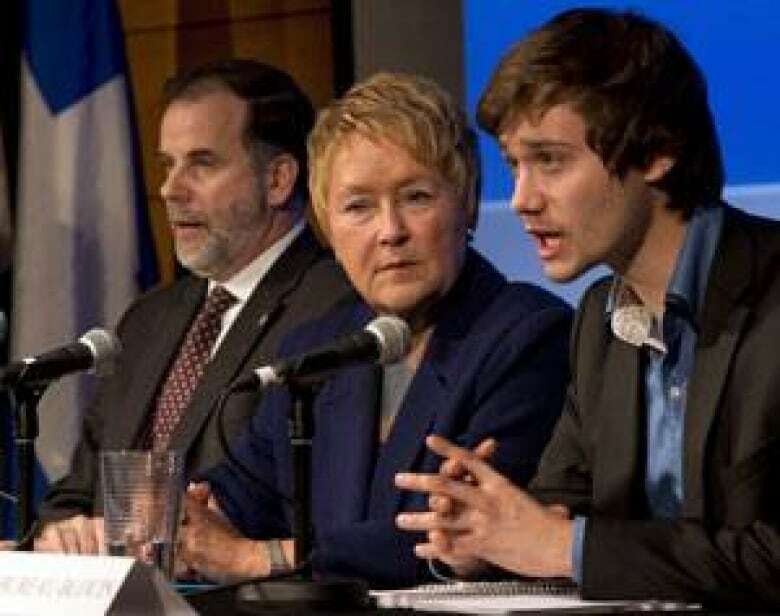 Of the three main student leaders from last summer, Martine Desjardins, Gabriel Nadeau-Dubois, and Léo Bureau-Blouin, only Bureau-Blouin made the decision to enter mainstream politics. He is now the PQ representative in the National Assembly for the riding of Laval-des-Rapides. And Bureau-Blouin’s decision to run for office initially attracted scorn from his colleagues in the student movement. "A lot of people raised their eyebrows in opposition to this. 'C’est un vendu,' they said, he’s been co-opted by the system," professor Weinstock says. "But I think that as important as it is to have a citizenry ready to voice its discontent by demonstrating in the streets, it’s also important that it connect with the political system. Policies get changed in our democracy when a majority of elected representatives decide to change those policies." He adds that it's "a pathology of the left, to turn one’s nose up at the trappings of political parties," but he thinks Bureau-Blouin's decision was important to the future of Quebec politics. "Mr. Bureau-Blouin decided that the only way his ideals would be translated into reality, is by changing the system from within. I think we will see more and more of the student leaders getting involved; not just standing on the sidelines. That will have been very positive." Martine Desjardins agrees. She herself is no longer in the student movement, having finished her year in 2013, and is now a political commentator. She applauds Bureau-Blouin’s decision to enter mainstream politics. "I think in the future we’ll see more students that were in the strike taking part in political action. Léo is now a politician, working with young people. I think it’s a great thing that students who took part in the protest are now doing good for this province."